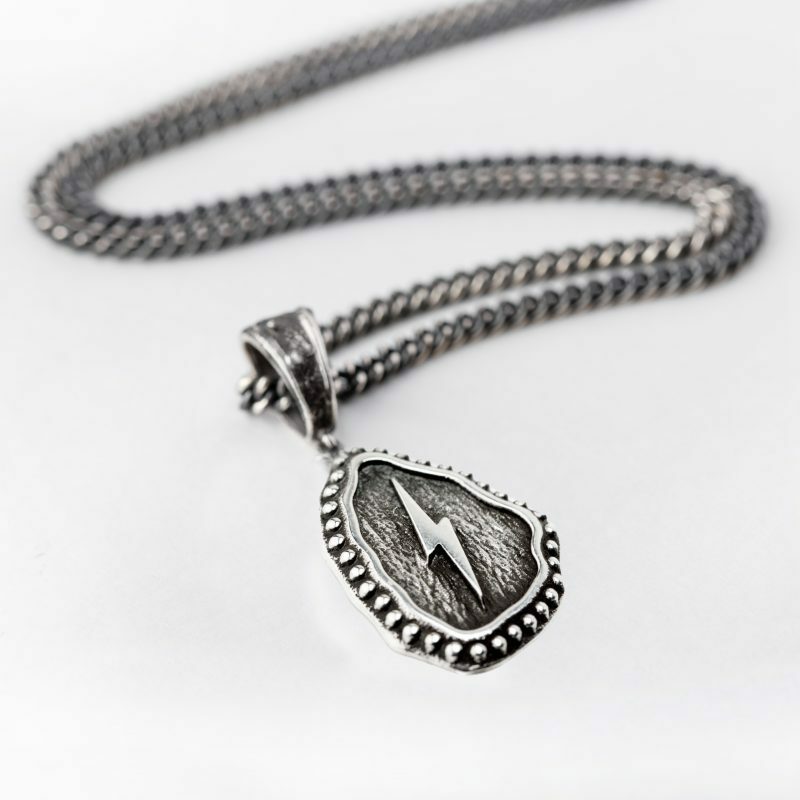 Brand new to our Men’s jewellery collection, we are proud to introduce the Willful Necklace. A symbol of strength and unfathomable power. Brand new to our Men’s jewellery collection, we are proud to present the Willful Necklace, handcrafted in London using both modern and traditional jewellery making techniques. 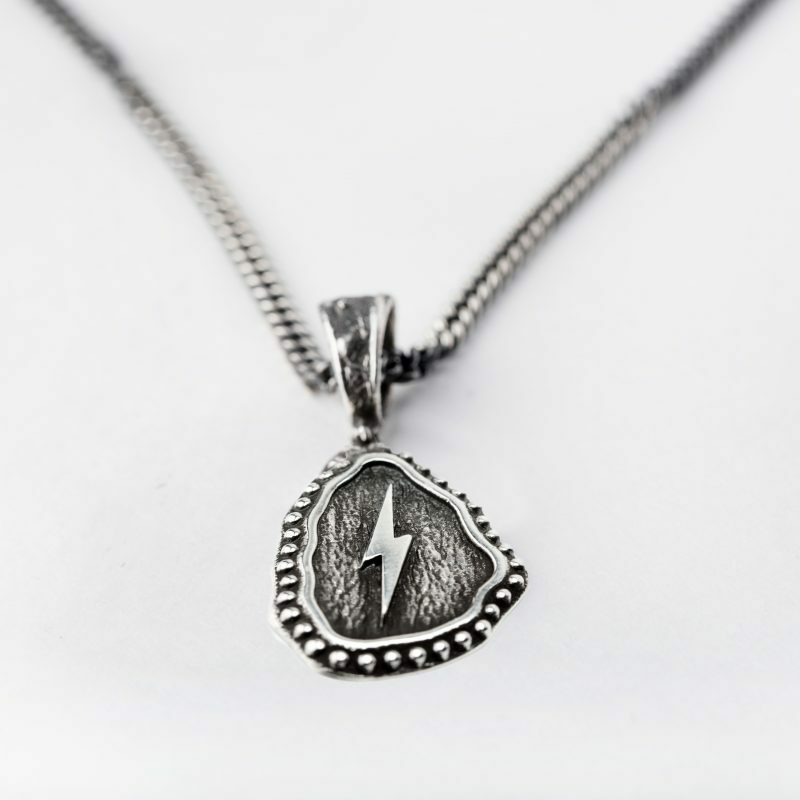 This necklace is cast in Sterling Silver from an original design and features a lightning bolt with a wood texture pendant finished with a blackened and polished effect. 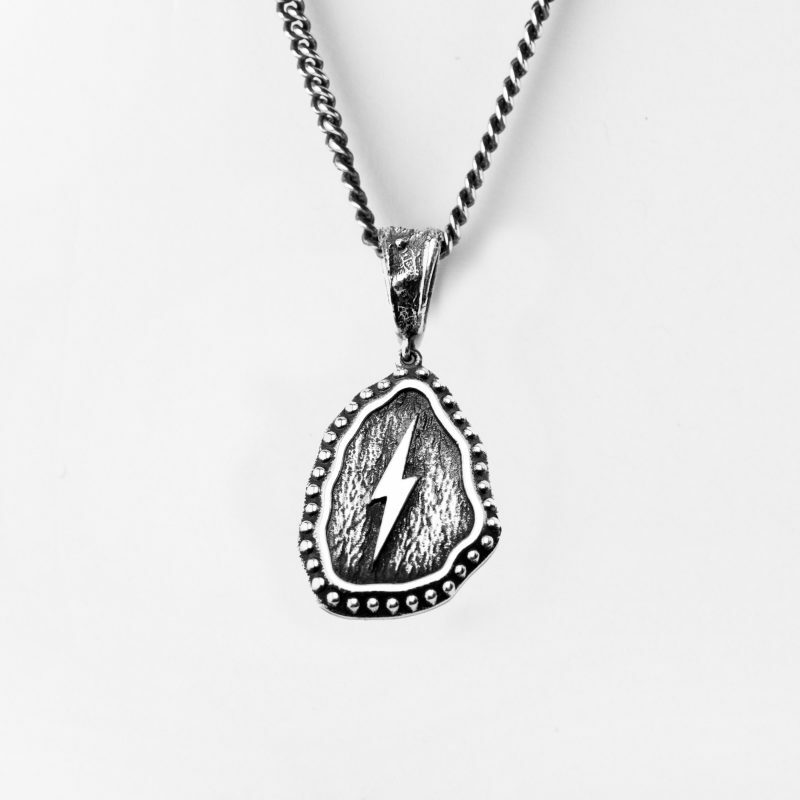 The Willful Necklace is part of our brand new Men’s jewellery range. Built to last and a unique piece for the collection. 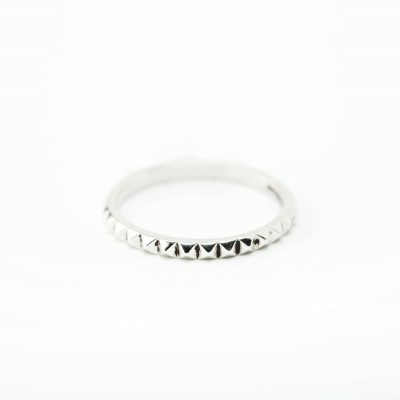 *Please note if you require a custom size please email us here: info@justinecullen.com We are happy to help.